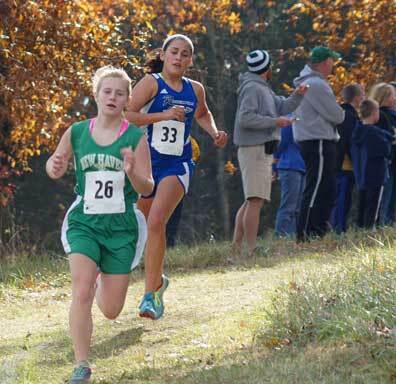 Senior (6th) Fey Chavez and freshman (9th) Emily Lewis will be running at state despite the girls team’s third place finish, falling short by two points to Columbia Independent. New Haven’s third place finish was a slight disappointment after beating Columbia Independent at Hermann (Oct. 8th), “They just ran better. I can’t complain how we raced, the kids gave it their all,” Coach Tucker said. The boys’ third place finish behind Linn was not a huge surprise as Coach Tucker knew they would be hard to beat. “We were only five points behind Linn,” said Tucker. Much closer to beating Linn than most expected. Freshman Emily Lewis finishes an impressive 9th place. 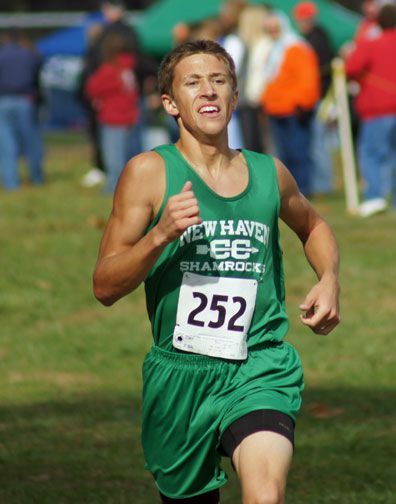 Saturday Schenck’s illustrious cross-country career will come to an end along with Grater and Chavez this will be their last chance at winning a state medal. Click here to download all the information about Saturday’s State Meet, including schedule, map of course along with information about a free shuttle service. Like us on Facebook where you can view more photos from the District Meet.